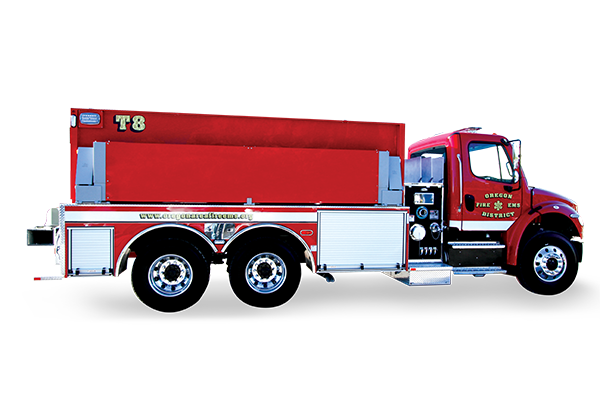 The FXT tanker program is a pre-engineered package that is a combination of the most popular features of Pierce’s dry-side tankers, at a competitive price. 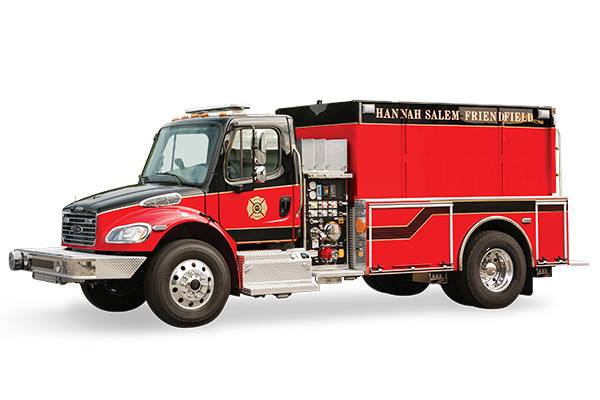 Standard features of both the single axle 2,100 gallon and tandem axle 3,000 gallon version include a painted poly water tank with a hosebed perimeter and a section of poly hose bed grating, an aluminum body with integral hard suction hose storage compartment, and roll-up door compartments with LED lighting. 500 or 1,000 gpm PTO driven pumps are available. 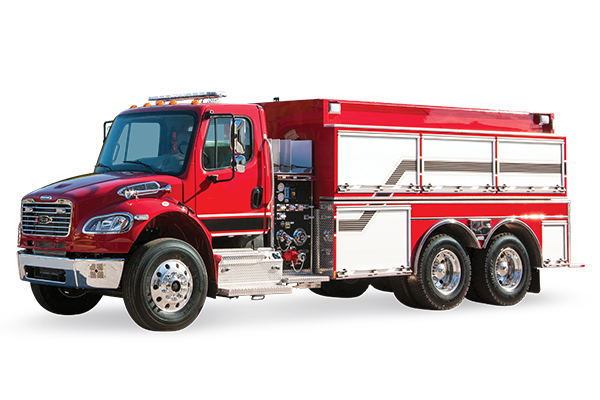 The FXT tanker is available in the medium or big block Freightliner chassis. 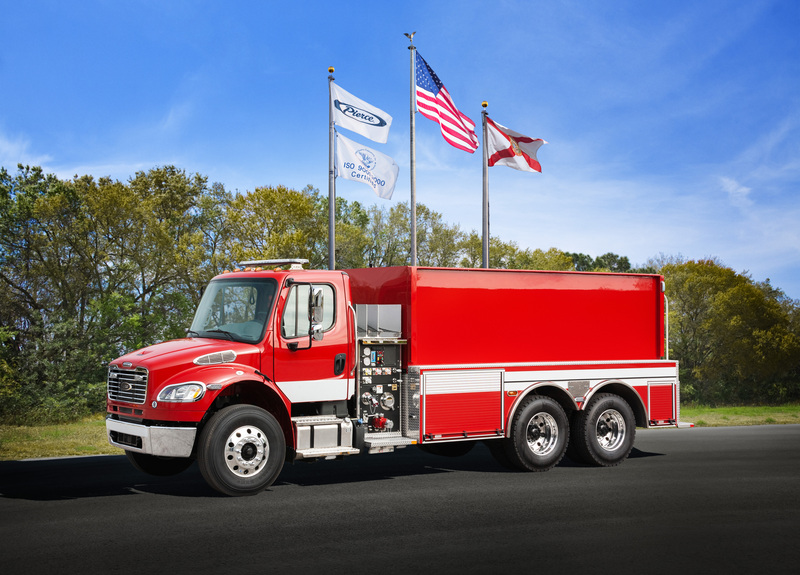 Commercial Chassis Freightliner M2-106 6x4, Freightliner M2-106 4x2, Freightliner 114SD 6x4 Overall Height 9'5"